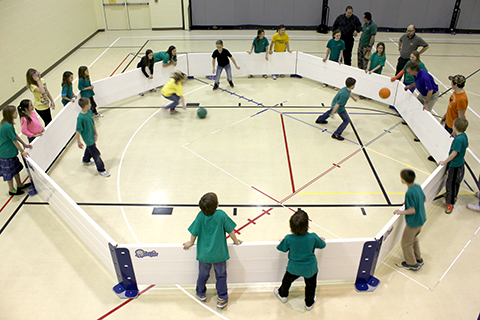 At Octopit USA, we believe we created the perfect gaga pit for kids of all ages, from grade school to beyond. 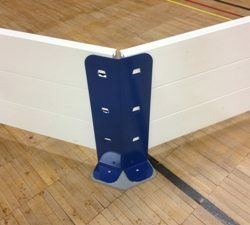 Octopit USA has created the perfect gaga pit that is fun for kids in any age group. 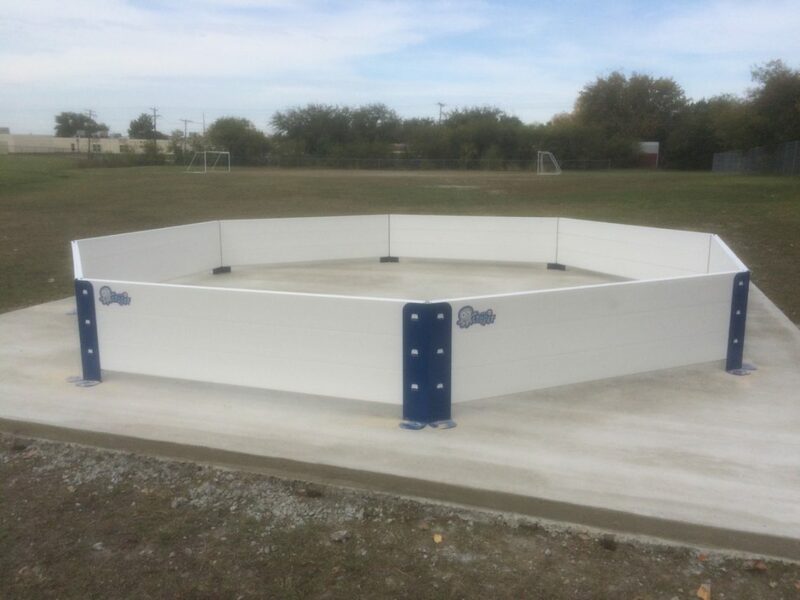 Whether you play outdoors or indoors, on concrete, asphalt, or gym floors, our Octopit USA Gaga Pits are equipped for use in any environment. 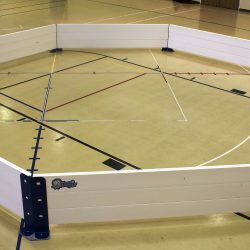 It takes only about 15 minutes to set up or take down the Octopit USA gaga ball pit, making it portable and easy to include at any event. Or set it up and let it be for permanent playground fun, providing endless hours of activity. 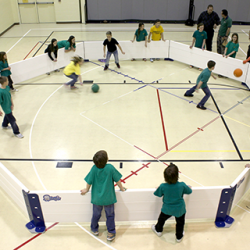 Gaga ball, also known as Octoball or Gorilla Ball, is a modified version of dodgeball that is played in an octagon shaped pit designed for safe play with limited impact exposure. 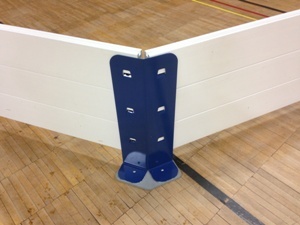 Kids love this game and get plenty of exercise playing it! 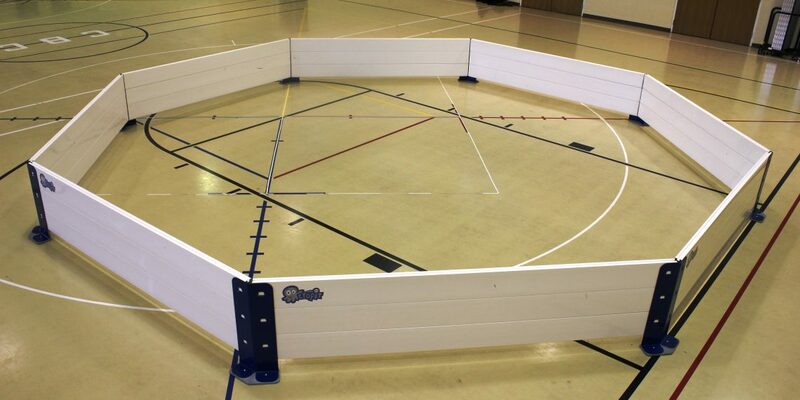 The Octopit USA gaga pit is made with sturdy steel legs and durable, reinforced, lightweight, polyvinyl side rails. These units are designed to last. Set up is a snap with our unique snap together system. 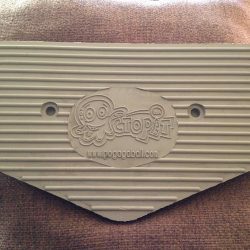 No nuts and no bolts or screws make for a non-complicated and convenient setup. 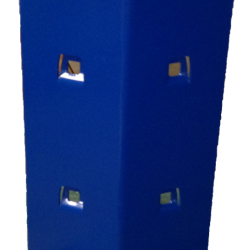 Customized gaga ball pit dimensions and colors are available options, as well. 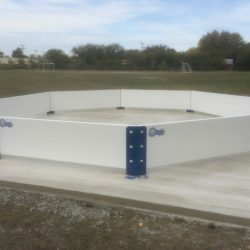 The Octopit USA portable gaga pit is durable and well-made with sturdy steel legs and reinforced lightweight, polyvinyl side rails. These units are designed to withstand countless games of gaga ball and are built to last. 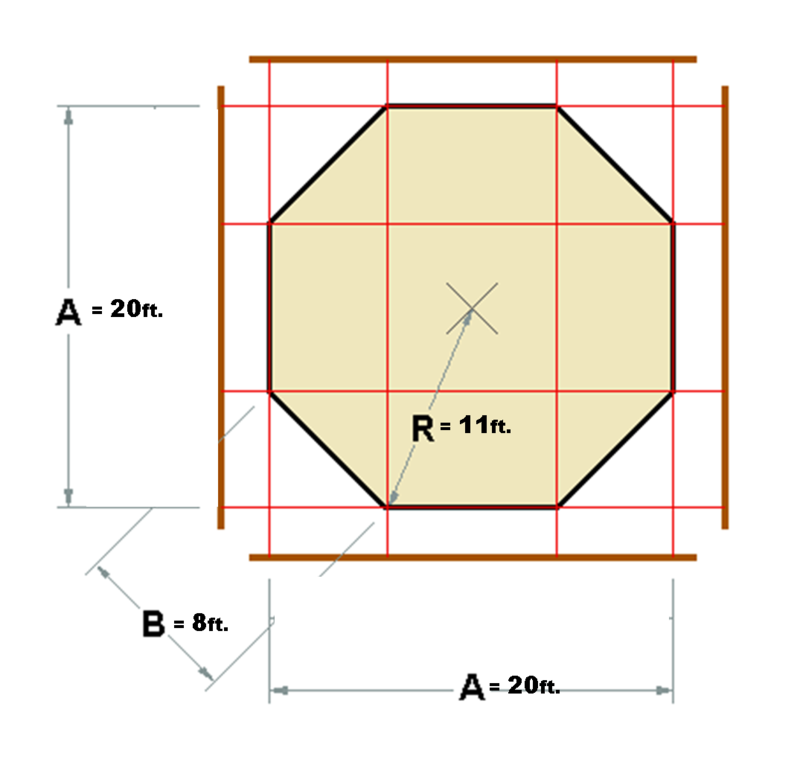 The layout diagram below shows the dimensions of a standard sized Octopit with 8-foot long side rails. The diameter is 20 feet long, from rail to rail and 22 feet from corner to corner. 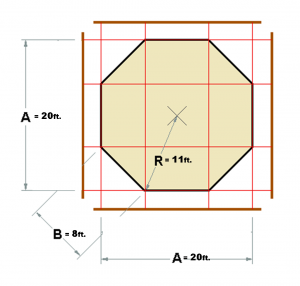 These dimensions can be customized to accommodate your particular needs. 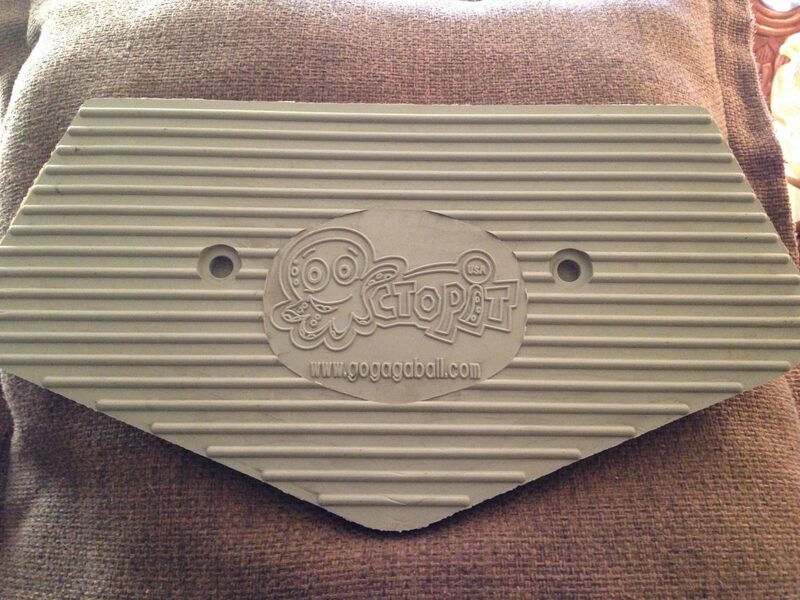 Call (248) 752-8165 for pricing and shipping quotes today!